Perceptual Networks comes to Phila. Jim Young, raised in Apple Computer's hometown of Cupertino, Calif., developed the notoriously successful face-and-body comparison-voting site HotOrNot.com back in pre-Facebook days, while he was warming up for his doctoral dissertation at Berkeley. Cheyenne Ehrlich, raised in a meditation center, developed ClickTheButton.com, a PayPal predecessor, while he was an undergraduate at Vassar, and went on to help build firms in Silicon Valley and East Asia, from his home on the Hawaiian island of Maui. These pioneers are now partners - in Philadelphia, where they've started their new company, Perceptual Networks. They plan to announce Tuesday that they have attracted $1 million from a who's who of information-technology entrepreneurs - YouTube cofounder Steve Chen, PayPal cofounder Max Levchin, and more than a dozen other information-technology firm founders turned angel investors. "I jumped on the opportunity" to back two guys he's liked since meeting them in Silicon Valley in the early 2000s, Levchin, who served as PayPal's chief technology officer with cofounder Elon Musk, told me. 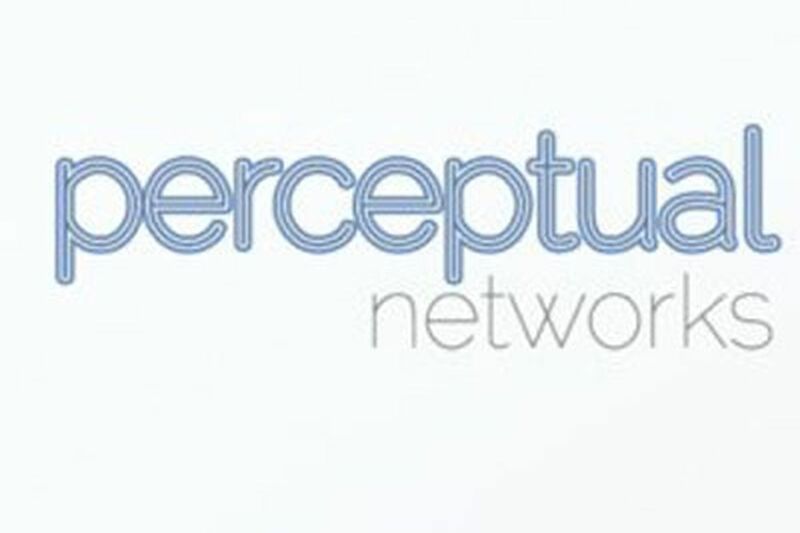 Perceptual Networks' backers also include two venture-capital firms, Philadelphia's own First Round Capital, the fourth-largest venture firm in the nation, by number of deals in 2011, and Silicon Valley-based Bullpen Ventures. "I'm excited to see them bringing their knowledge and experience to Philadelphia - and I hope it's the start of a growing trend," said First Round partner Josh Kopelman, who moved his office to the edge of Penn's campus from West Conshohocken earlier this summer. Ehrlich built a service called Price Patrol for Kopelman's Half.com before Kopelman sold that business to eBay in 2000. Kopelman recalls Ehrlich as "one of the most hands-on CEOs I've ever seen." Young's HotOrNot, Kopelman added, showed "Jim's innate understanding" of Web users "and what they want." The partners aren't saying much in detail about Perceptual Networks, beyond describing the outline of a smartphone-enabled technology platform that aspires to provide a kind of smarter, deeper, personalized data-mining mash-up of Facebook, LinkedIn, and other mass-market online-contact services. Key goals, Young says, are "to make it easier and faster to find people you'd like to meet" - without allowing "random people to contact you." The partners say their Philadelphia location (in Northern Liberties) is more than a sign that, in this era of free-development software, smartphone-apps writers, and other brain-intensive project managers can locate anywhere. "Philly is not random," Young told me. "Philly is one of the few places that is very well-positioned to do these things. There's the fact Josh is here now. The fact you have Penn and Drexel," and events like PennApps, which drew 300 student software developer teams to the University of Pennsylvania last weekend. "There's the quality of life, how cheap it is relative to New York and San Francisco. And the food scene here is amazing, and the arts-and-culture scene - those are the things that draw entrepreneurs and creative types." You can't get that, Young added, "in places like Baltimore." Can Philly keep these smart people as they mature and start families? "We have two kids, 2 and 5, and one of the main reasons I choose to be here, I think the quality of life is much better for families here, than in New York and San Francisco," Young said. "Philadelphia is much more family-friendly." "The public school system scares me," Young admitted. But his wife, Sarah, is a proud Central High graduate ("Class 258," in 1999). Which is why Young first experimented with Philly living, as a young parent, three years ago. "Jim and I met at TED in 2004," Ehrlich told me, citing the "Technology, Education, Design" conferences that have grown into a national phenomenon for circulating quick ideas. They've been sharing proposals for a joint business ever since. "Starting a company together is like a form of marriage," Ehrlich added. That's what it took to "get me off Maui." In Philadelphia, he was pleased to find "a fair amount" of technology companies, "mostly in the 'burbs, and a lot of great talent in the city," giving city employers an edge in hiring. "Hey, it would be impossible to do what we're doing back on Maui," Ehrlich concluded. "Markets like Philadelphia contain people who live here by choice, and who want to be here, as opposed to people who are on the gold rush. And that's who you want for your team."